More realistec generation for your Minecraft terrain. New Dawn 1.7.2 and 1.7.10 is a mod that adds a new kind of world that we can select from the world crations menu inside the game. Among other options, now find a new option called “New Dawn”. This mod incorporates its own generation of worlds to create more realistic worlds. It tries to carry out it in two different ways: first by removing the randomness of occurrence of biomes, grouped by weather conditions or temperatures. Secondly this generator, softens the ground, getting more realistic mountains and avoiding such floating islands or rocks. How to install New Dawn Mod for Minecraft 1.7.2 and 1.7.10? 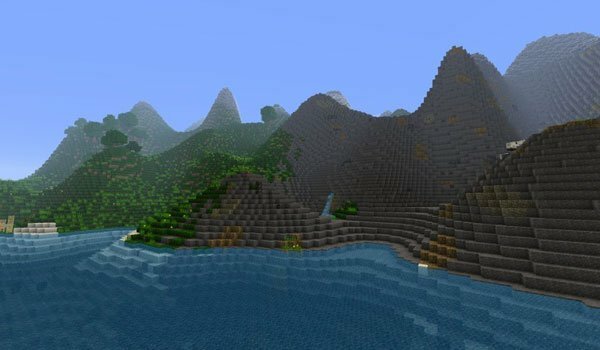 Emergence of more realistic biomes and mountain!